This program is a five star program without a doubt! I decided to have weight loss surgery for a number of reasons. The main reason that stands out is I felt my life expectancy was decreased due to how heavy I was. I have four daughters and one grandson; I want to be alive and healthy to hold every one of my grandchildren. My highest Preoperational weight was 211 pounds. 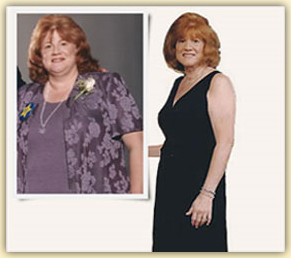 Since my surgery in October of 2007, I have lost a total amount of 58 pounds! My Hypertension, chronic backaches, knee pain, and hyperlipidemia are non existent since my surgery. The Lap Band was the right choice for me! During my appointments I received just the right amount of information. 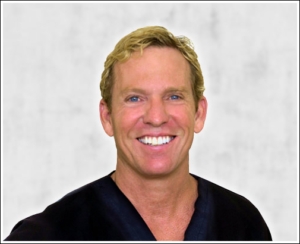 The most helpful information I received was what to expect from the surgery. I was well aware how long the procedure would last, what to expect, expected weight loss, and about how long the recovery would be. I would rate every aspect of my experience as excellent. I couldn’t be happier! 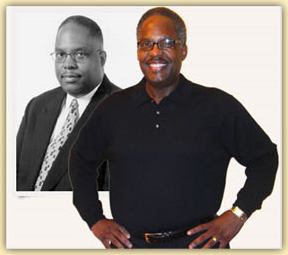 Before my surgery I had difficulty in walking, arthritis, high blood pressure and high cholesterol. After surgery they are a non issue! I was even on the verge of not being able to work anymore due to my weight. Now I am down to 155! I lost 106 pounds. My 30 year struggle with weight loss is OVER! The lifestyle changes I needed to make to be successful were very scary but with the support, the education and the Lap-band I am able to do it. I am a business owner, I travel 80% of the time. 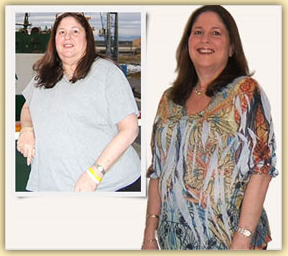 Following LAP-BAND® surgery, Michele dropped 92 pounds. 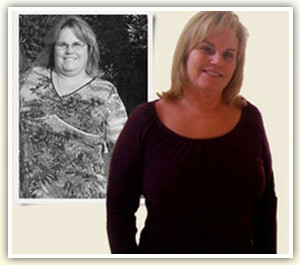 Her blood pressure is normal, she feels more energized, and she renewed her competitive edge in the workforce.